All Calif CCW permits are good state wide, looked at by case by case basis for most Sheriff’s offices in the Bay Area. We will help you to fill out the application for the Sheriff. You will learn to shoot in ways you never dreamed of. All courses are taught 7 days a week. Here is how you set up your course. Simply call our facility book a date, use your credit card, and show up on your date. When you call our facility, please have exact dates ready so we can adapt ourselves to fit your needs, this avoids too many calls, back n forth, and also the class being filled by the time you call us back. WHY TAKE OUR COURSE: You will know the current most up to date laws, you will shoot better than you ever dreamed, and be totally safe, and comfortable with your firearm. California CCW Cost: 299.00 for Two day course. We will take you from not having any experience with a firearm, to a Concealed Carry Advanced Level Shooter in 2 days. Shooting made easy. Ok the Feds told California they are violation of the 2nd Amendment, and they have to issue a CCW PERMIT IF SOMEONE NEEDS ONE FOR SELF DEFENSE, as long as you are not a nut have a 5150, or felony criminal, or have a restraining order against you. Range Fees and ammunition are paid by the students. Requires a total of 16 hours of training including Basic Pistol certification. 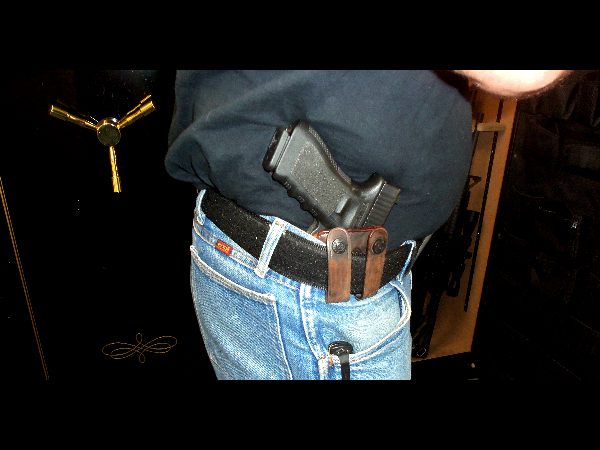 We will guide you through the California CCW course of fire required for the permit. 2.5 hours of California law, two separate days of shooting at the range, must pass a written test, proof of good moral character. You will learn the tactical application of firearms use, and survival. We also have a segment where you use our (air soft guns) simulated Glock in a heavy duty confrontation scenario. After completing this course you will submit all the paperwork to the Sheriff of whatever county you live in, and it is up to them if they issue you a permit or not. California laws are taught in this course.